Professor Pankaj Sah is Director of the Queensland Brain Institute (QBI) at The University of Queensland (UQ). He is renowned for his work in understanding the neural circuitry of the amygdala, an area of the brain that plays a central role in learning and memory formation. Dysfunction of the amygdala leads to a host of anxiety-related disorders. His laboratory uses a combination of molecular tools, electrophysiology, anatomical reconstruction, calcium imaging and behavioural studies to examine the electrophysiological signatures of different brain regions and their impact on disease. Recently, his laboratory has been working with patients undergoing electrode implantation for deep brain stimulation, which is used to treat a variety of disorders such as Parkinson's disease, Tourette's syndrome and essential tremor. 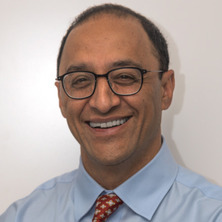 Professor Sah trained in medicine at The University of New South Wales and, after completing his internship, gained a PhD from the Australian National University. Following postdoctoral work at the University of California, San Francisco, and UQ, he established his own laboratory at the University of Newcastle in 1994. He then joined the John Curtin School of Medical Research at the Australian National University as a group leader in 1997. He was recruited to QBI as a founding member in 2003, and has been Director since July 2015. Professor Sah has published over 110 papers in international peer-reviewed journals. He is also the Editor-in-Chief of the Nature Partner Journal npj Science of Learning, the first journal to bring together the findings of neuroscientists, psychologists, and education researchers to understand how the brain learns. Prof Sah's major interest has been in understanding the neural circuits that underpin learning and memory formation working on two regions that have well defined roles in learning: the hippocampus and amygdala. He have made major contributions to both these areas and pioneered whole-cell recordings in acute brain slices and provided the first biophysical characterisation of excitatory glutamatergic synapses in the mammalian brain (e.g. Hestrin et. al. 1990, J. Physiol. 422:203; Sah, et al. 1989 Science, 246:815). These synapses are involved in all activity in the central nervous system and our results are cited in major neuroscience textbooks (e.g. Kandel and Schwartz, Principles of Neural Science). Although the hippocampus plays a role in many forms of learning, linking hippocampal activity to specific behaviours has proven difficult. He therefore decided to study the amygdala, a region of the brain well known to play a key role in a very specific form of learning: fear conditioning. His laboratory has been a leader in studying the amygdala and provided the first characterisation of the properties of neurons in this structure (e.g. Faber et al., 2001 J. Neurophysiol. 85:714; Faber & Sah 2002, J. Neurosci. 22:1618). revealing a number of novel and unexpected properties of central synapses and changed thinking about the functional roles of different synapses. For example, it was thought that learning only engaged synaptic plasticity at excitatory synapses on pyramidal neurons. His group showed that in the amygdala a unique form of plasticity also occurs in interneurons (Mahanty & Sah 1998, Nature 394:683) and have recently shown that this plasticity is restricted to a single class of interneuron (Polepalli et al. 2010, J Neurosci. 30:14619). Much of his group's work in this area formed the basis of an influential review (Sah et al. 2003, Physiological Reviews 83: 803). In 2005, my laboratory also discovered that small conductance calcium-activated potassium channels, known to set the discharge properties of central neurons, are also present at excitatory synapses where their modulation plays a key role in setting the strength of synaptic connections and in synaptic plasticity (Faber et al. 2005, Nature Neurosci 8:635). Moreover, these channels are modulated by the hormone noradrenaline, explaining how memory formation may be affected by stressful stimuli (Faber et al. 2008, J Neurosci. 28:10803). Finally, interneurons in the adult brain were though to only be inhibitory. The Sah laboratory demonstrated that a particular type of interneuron in the amygdala is excitatory (Woodruff et al. 2006, J. Neurosci. 26:11881) overturning a long-standing dogma in the field. Interneurons in the amygdala have long been known to play an important role in amygdala-dependent learning. These effects were thought to result from the inhibitory actions of interneurons on the output neurons of the amygdala. His group's results are showing that these cells play a central and unexpected role in information processing and are redefining our understanding of the function that interneurons play in intrinsic circuits in the amygdala. Where and what is the PPN and what is its role in locomotion? Fear Conditioning and Long-term Potentiation in the Amygdala What Really Is the Connection? Canonical organization of opioid modulation of nociceptive circuits. Focus on "mu opioid receptor activation inhibits GABAergic inputs to basolateral amygdala neurons through Kv1.1/Kv1.2 channels"
De Armentia, Mikel Lopez and Sah, Pankaj (2003) Development and subunit composition of synaptic NMDA receptors in the amygdala: NR2B Synapses in the adult central amygdala. Journal of Neuroscience, 23 17: 6876-6883. Power, JM and Sah, P (2002) Nuclear calcium signaling evoked by cholinergic stimulation in hippocampal CA1 pyramidal neurons. Journal of Neuroscience, 22 9: 3454-3462. Faber, ESL and Sah, P (2002) Physiological role of calcium-activated potassium currents in the rat lateral amygdala. Journal of Neuroscience, 22 5: 1618-1628. Faber, ESL, Callister, RJ and Sah, P (2001) Morphological and electrophysiological properties of principal neurons in the rat lateral amygdala in vitro. Journal of Neurophysiology, 85 2: 714-723. Delaney, A. J. and Sah, P. (2001) Pathway-specific targeting of GAB(A) a receptor subtypes to somatic and dendritic synapses in the central amygdala. Journal of Neurophysiology, 86 2: 717-723. Delaney, AJ and Sah, P (1999) GABA receptors inhibited by benzodiazepines mediate fast inhibitory transmission in the central amygdala. Journal of Neuroscience, 19 22: 9698-9704. Morgan, B, Callister, R, Handford, C, Walker, S, Sah, P and Schofield, P (1999) Molecular studies of synaptic neurotran fission: Development of transgenic animal models. Journal of Neurochemistry, 73 S88-S88. Sah, P and Clements, JD (1999) Photolytic manipulation of [Ca2+](i) reveals slow kinetics of potassium channels underlying the afterhyperpolarization in hipppocampal pyramidal neurons. Journal of Neuroscience, 19 10: 3657-3664. Are there functional P2X receptors on cell bodies in intact dorsal root ganglia of rats? Margrie, TW, Rostas, JAP and Sah, P (1998) Long-term potentiation of synaptic transmission in the avian hippocampus. Journal of Neuroscience, 18 4: 1207-1216. Margrie, TW, Rostas, JAP and Sah, P (1998) Presynaptic long-term depression at a central glutamatergic synapse: a role for CaMKII. Nature Neuroscience, 1 5: 378-383. Margrie, TW, Rostas, JAP and Sah, P (1997) NMDA receptor independent long-term potentiation in the avian hippocampus. Journal of Neurochemistry, 69 S66-S66. Sah, P and Bekkers, JM (1996) Apical dendritic location of slow afterhyperpolarization current in hippocampal pyramidal neurons: Implications for the integration of long-term potentiation. Journal of Neuroscience, 16 15: 4537-4542. Sah, P (1995) Properties of Channels Mediating the Apamin-Insensitive Afterhyperpolarization in Vagal Motoneurons. Journal of Neurophysiology, 74 4: 1772-1776. Sah, P (1992) Role of Calcium Influx and Buffering in the Kinetics of a Ca-2+-Activated K+ Current in Rat Vagal Motoneurons. Journal of Neurophysiology, 68 6: 2237-2247. Sah, Paj and McLachlan, EM (1992) Potassium Currents Contributing to Action-Potential Repolarization and the Afterhyperpolarization in Rat Vagal Motoneurons. Journal of Neurophysiology, 68 5: 1834-1841. Hestrin, S, Nicoll, RA, Perkel, DJ and Sah, P (1990) Analysis of Excitatory Synaptic Action in Pyramidal Cells Using Whole-Cell Recording From Rat Hippocampal Slices. Journal of Physiology-London, 422 203-225. Hestrin, S, Perkel, DJ, Sah, P, Manabe, T, Renner, P and Nicoll, RA (1990) Physiological-Properties of Excitatory Synaptic Transmission in the Central-Nervous-System. Cold Spring Harbor Symposia On Quantitative Biology, 55 87-93. Sullivan, R. K. P., Spampanato, J. and Sah, P. (2011). Kidney chloride regulation in the mouse CNS. In: Australian Neuroscience Society Annual Meeting. Australian Neuroscience Society (ANS) 31st Annual Conference, Aukland New Zealand, (). 30 January - 3 February 2011. Sah, P (2010). NMDA receptors in the amygdala: a heterogeneity of form and function. In: JOURNAL OF PHYSIOLOGICAL SCIENCES. Unknown, Unknown, (S8-S8). Unknown. Sah, P (2010). Recent advances in the role of the amygdala in memory storage, fear and anxiety. In: x, x, (S2-S2). x.
Gunnersen, JM, Kim, MH, Fuller, SJ, De, SM, Barwood, JM, Hammond, VE, Britto, JM, Mateos, JM, Sonderegger, P, Faber, ES, Sah, P and Tan, SS (2009). Dendritic Branching and Excitatory Connectivity: Regulation by Seizure-Related Gene 6. In: Journal of Neurochemistry. 22nd Biennial Meeting of the International-Society-of-Neurochemistry/Asian-Pacific-Society-for-Neurochemistry, Busan South Korea, (161-161). Aug 23-29, 2009. Fear conditioning and long-term potentiation in the amygdala: What really is the connection? Woodruff, A.R. and Sah, P. (2004). A chemically and electrically connected network of interneurons regulates principal neuron activity in the basolateral amygdala. In: Paul Martin, Proceedings of the Australian Neuroscience Meeting. Australian Neuroscience Society 24th Annual Meeting, Melbourne Convention Centre, (68-68). 27-30 January. Faber, E.S.L. and Sah, P. (2004). Calcium and voltage dependent potassium currents contribute to spike frequency adaptations in lateral amygdala neurons. In: Paull Martin, Proceedings of the Australian Neuroscience Meeting. Australian Neuroscience Society 24th Annual Meeting, Melbourne Convention Centre, (66-66). 27-30 January. Neurogenesis in the amygdala and hippocampus: a role in learnt fear? Organization of a reverberating cell assembly in the Basolateral Amygdala - networks, circuits, and synapses.